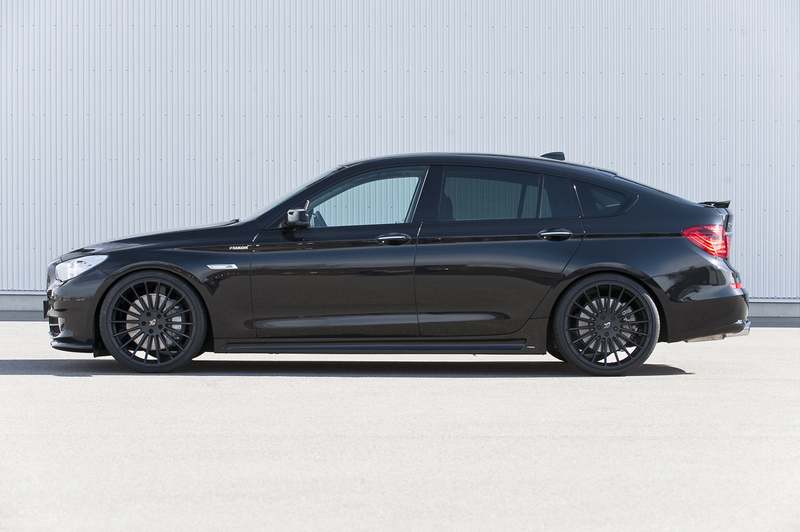 BMW’s first Progressive Activity Sedan gets some Power And Style from Hamann Motorsport. 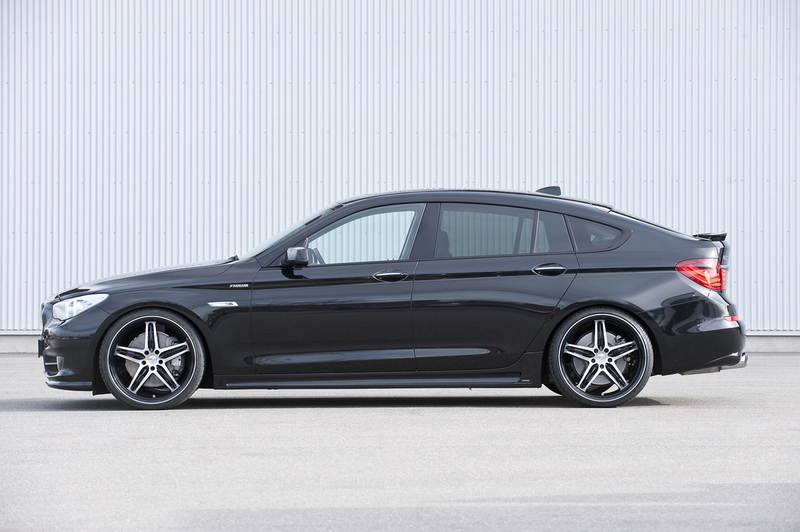 The new 5 Series GT combines the space and luggage capacity of an SUV with the comfort and amenities of a luxury sedan to create a functional vehicle. 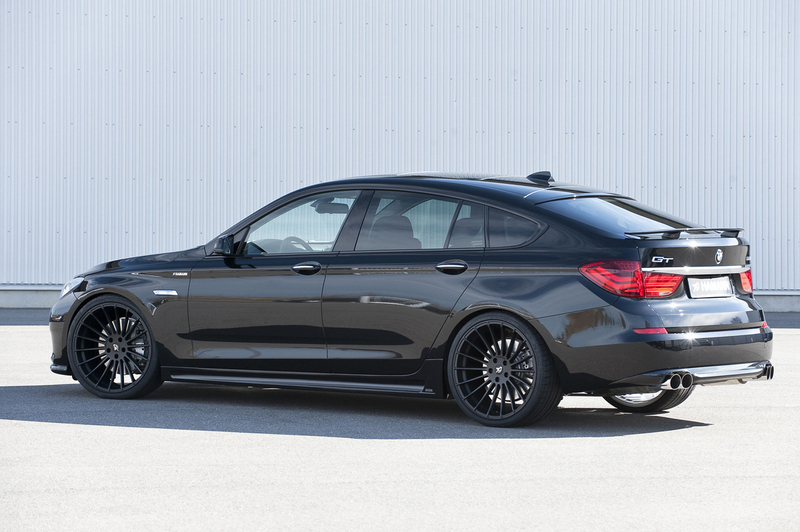 Being the first-ever PAS (Progressive Activity Sedan), the 5 Series GT offers coupe-like styling and three powerful engines that Hamann Motorsport took full advantage of. 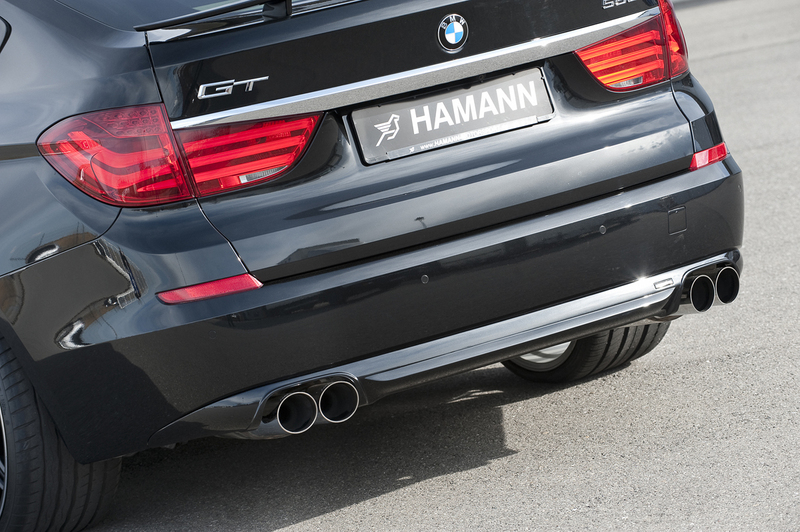 To give the GT more style, Hamann Motorsport offers an aerodynamic tuning program that incorporates both craftsmanship and optimized airflow. 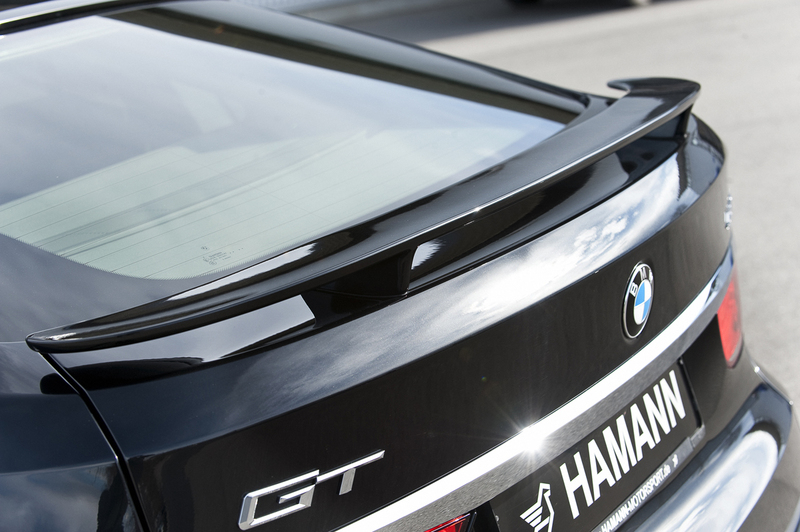 At the front Hamann has added a spoiler to the stock front spoiler, thus reducing lift at the front axle. 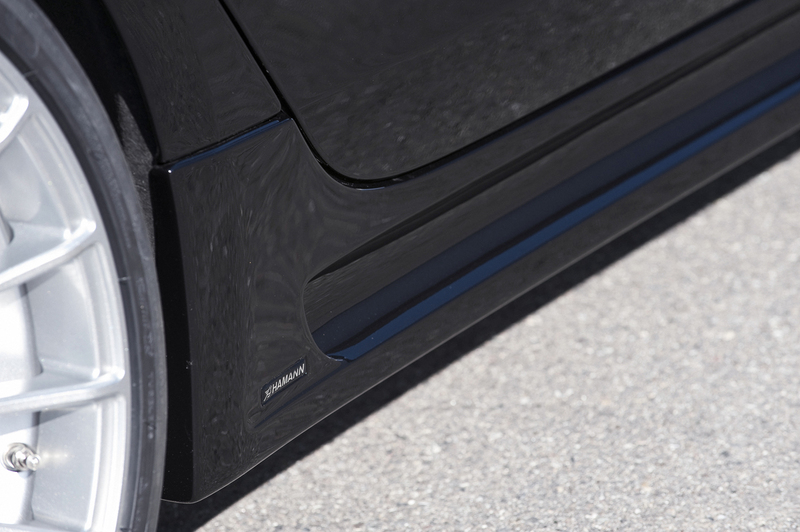 New side skirts optimize airflow and strengthen the GT’s muscular stance. 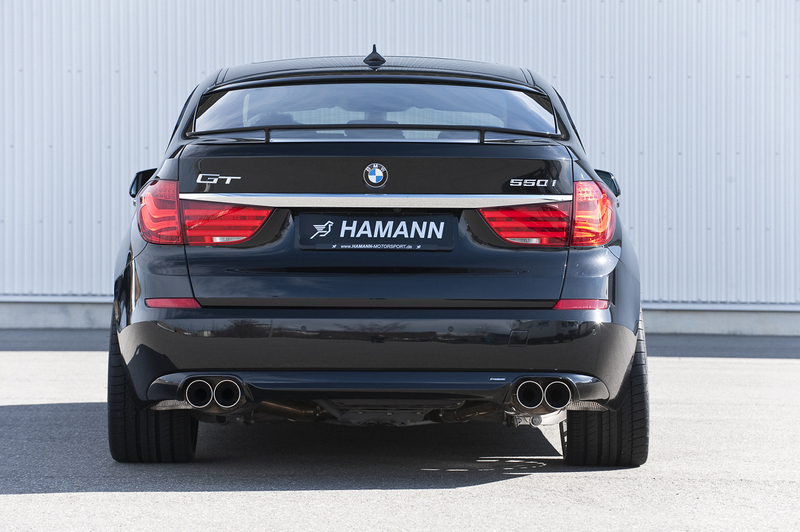 For a custom appearance, Hamann offers either a small or large spoiler at the rear. 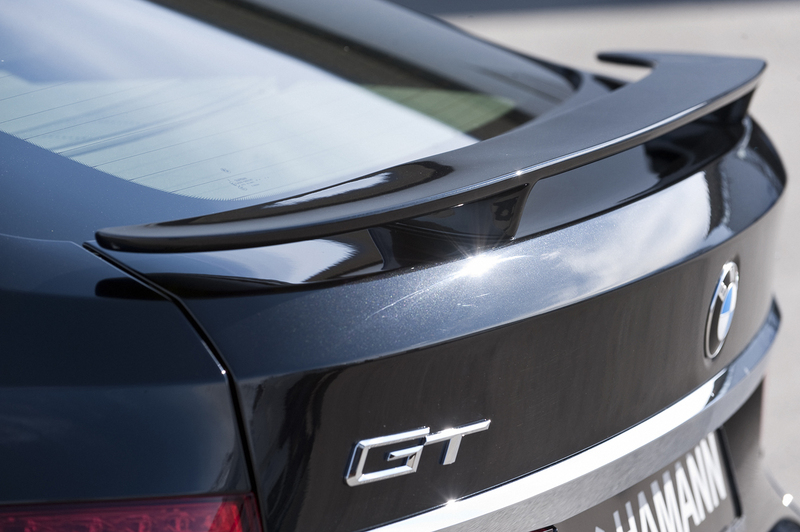 Both provide the GT with ample downforce for spirited driving. 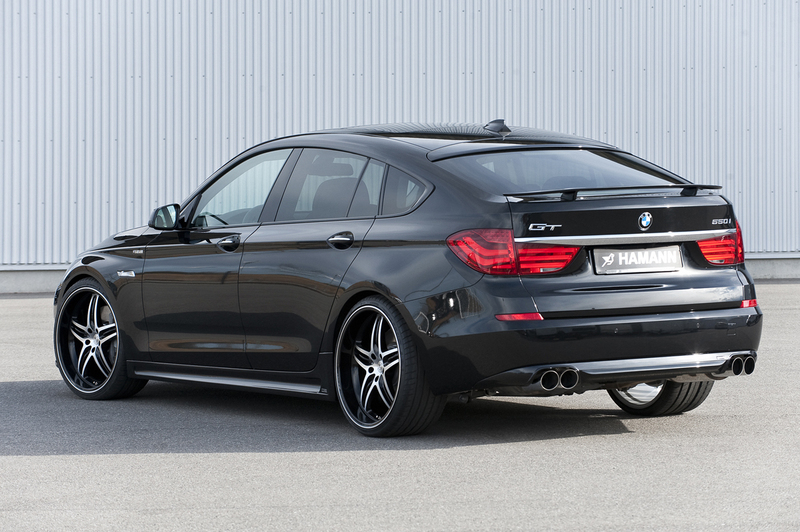 A new rear bumper is also fitted to accommodate the 90 mm quad exhaust pipes. The three engines that are offered all provide the GT with ample power. 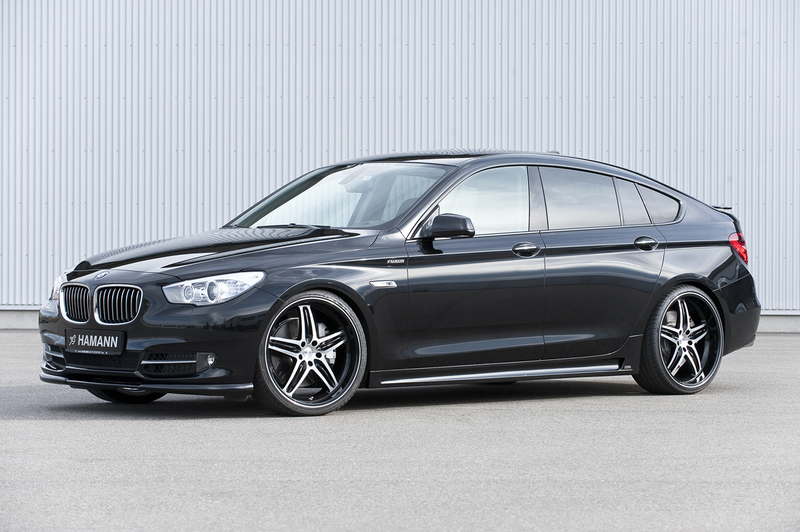 The 3.0-liter turbo diesel however, got a big power bump from Hamann Motorsport. 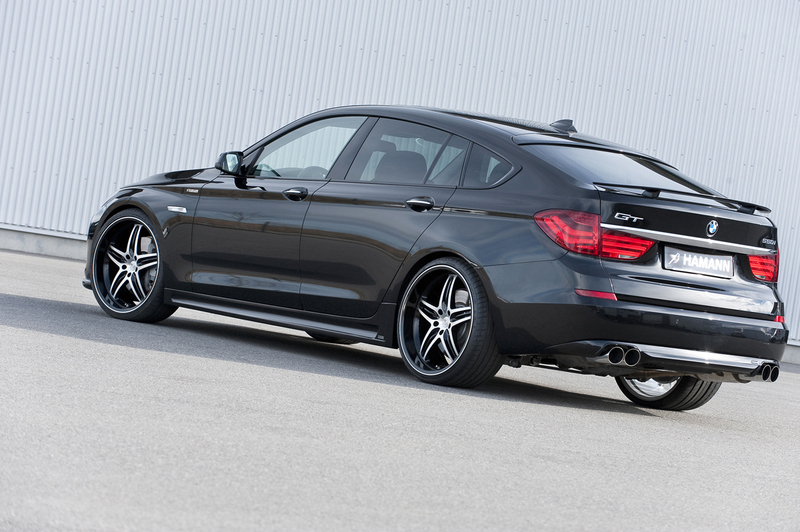 Stock, the GT 530d packs 241 horsepower and 398 lb-ft of torque. 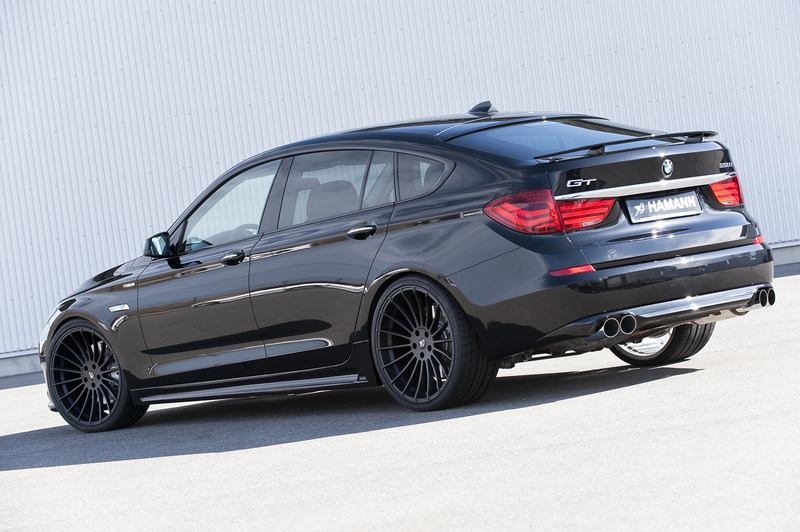 After retuning the stock Motronic ECU, Hamann was able to crank out 271 horsepower and 457 lb-ft of rubber burning torque. 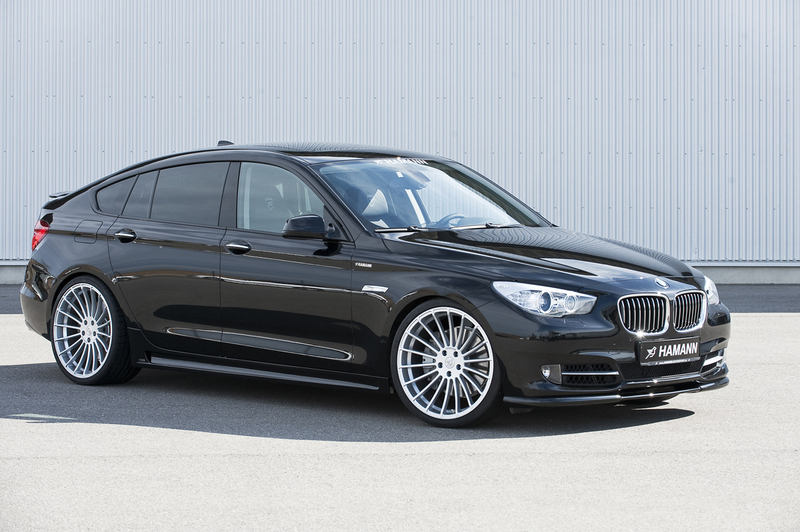 With a low stance, the GT flaunts Hamann’s Anniversary EVO light alloy wheels. 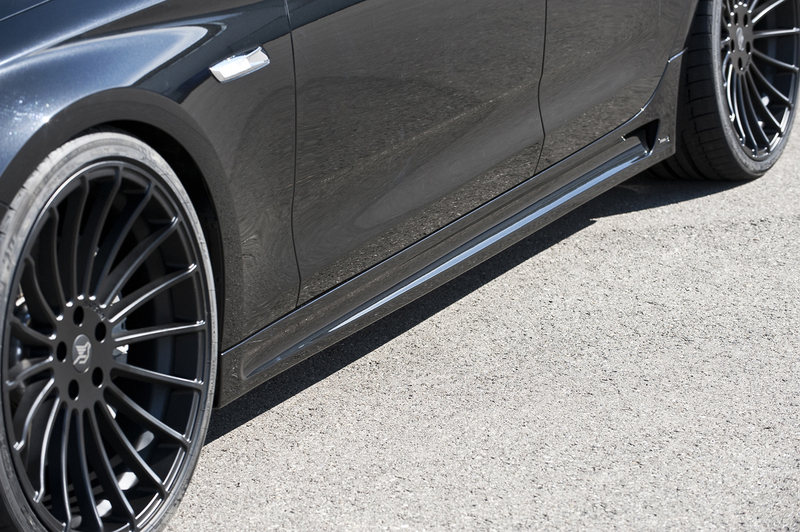 Dressed in silver or matte black, the multi-spoke wheels measure a massive 9 x 22 at the front and 10.5 x 22 at the rear. Wide 265/30 ZR 22 front and 295/25 ZR 22 rear wheels are fitted and give the GT uncompromising grip. 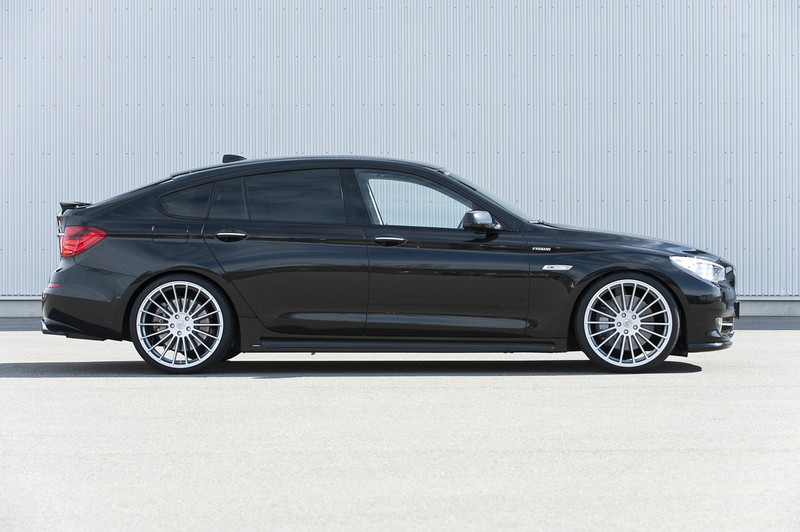 The dynamic stance is further enhanced by the new air suspension lowering kit. The stunning exterior design continues in the GT’s interior. 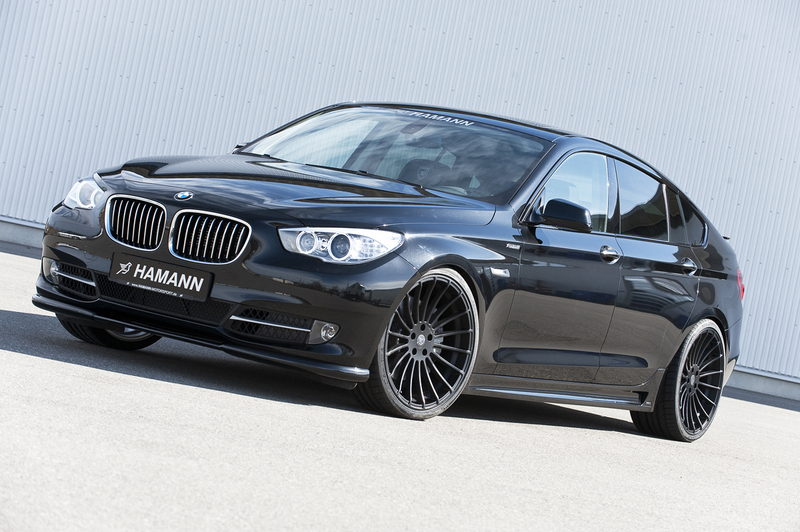 The luxurious cabin is further accentuated by a number of Hamann BMW accessories. 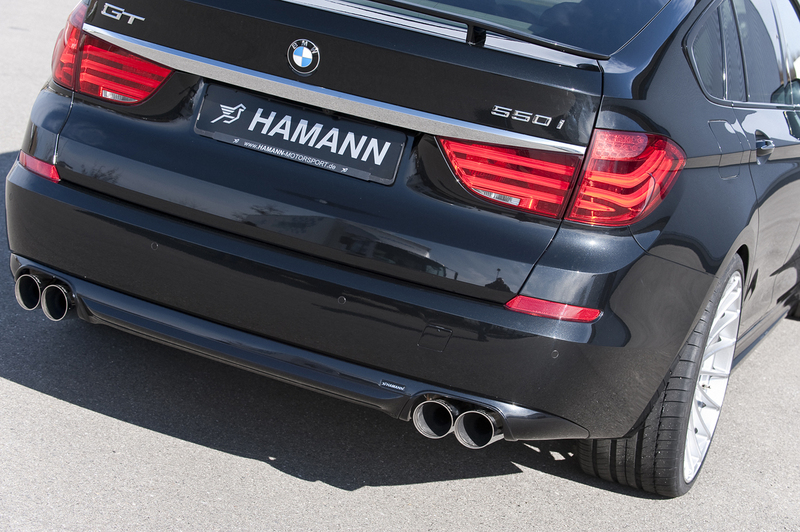 New aluminum design pedals and footrests contrast the black floormats with silver Hamann logo. Numerous additional interior pieces are also available to create a personalized cabin. 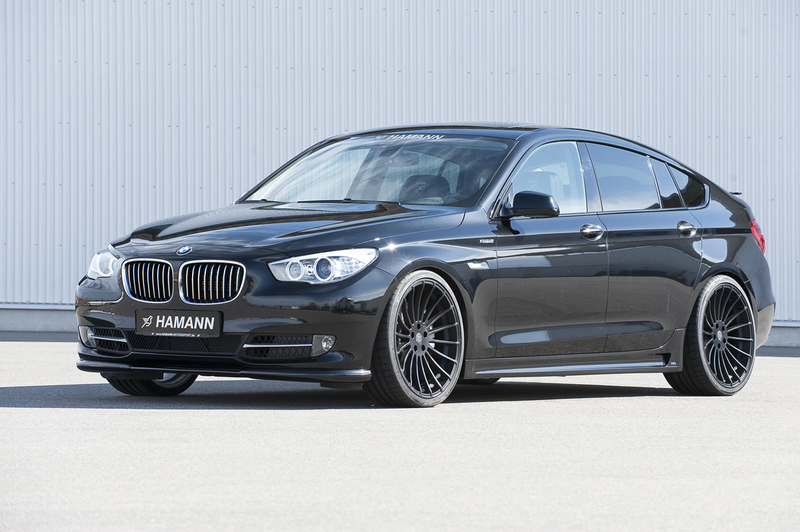 The tuning program for the BMW 5 Series Gran Turismo can be ordered from Hamann-Motorsport.de. 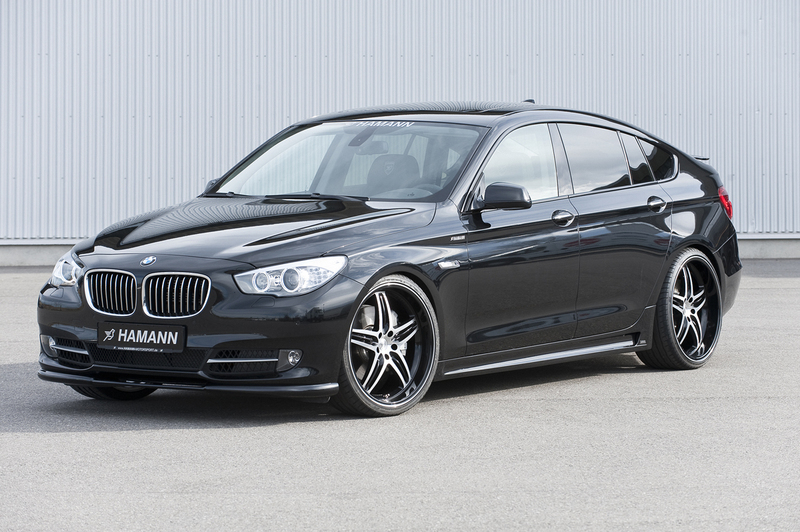 Additionally, Hamann also offers individual tuning accessories.